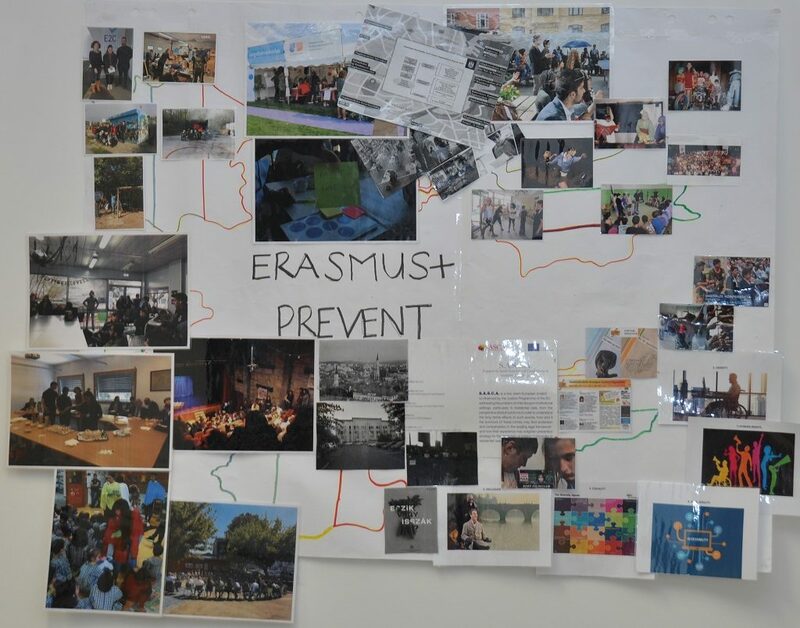 Prevent Bullying and Abuse (PREVENT; KA2+2018-1-HU01-KA204-047719) is a big Erasmus+ project implemented from European Union fund by a consortium of 7 partner organizations from 6 different countries (Hungary, Romania, Bulgaria, France, Portugal and Denmark) led by FSZK Nonprofit Ltd.
Our project started in 2018 and will end in 2021, and the main goal of our project is to develop a simulation game for young adults to let them know about such vulnerable groups like people living with disabilities, migrants, poor people etc. and make them more sensitive about the potential abuse situations suffered by these vulnerable groups. We want to reach these goals by using the indirect method of simulation games and also the Forum Theatre method, and we would like to develop such a game which not only enhance the knowledge of young adults in the topic of abuse, but to get them thinking about this topic and to stop them to be an abuser, and also to give them some good tools on how to handle these situations in their everyday lives. After the kick-off meeting (Budapest, December 2018) the consortium members worked hard on finalising the already existing characters and situations of the game, and the game was tested by young adults and experts in Denmark, Portugal, France, Bulgaria and Romania. to get more familiar with the administrative and financial questions of the project. The creative work in the Prevent Bullying and Abuse (PREVENT) project has been started with the kick-off meeting on 2-4 December 2018, in Budapest. 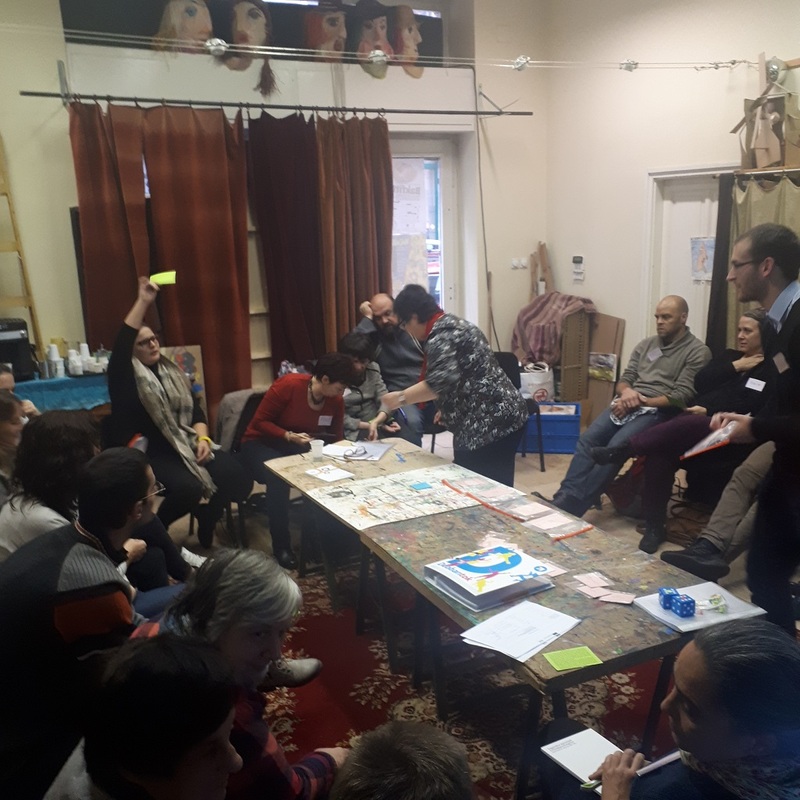 During the meeting, the consortium of 7 partner organisations from 6 nations, led by FSZK Non-profit Ltd., got familiar with the project rules and plans, and also tested the “zero” version of the to-be-made simulation game. a Forum theatre methodology also working with their experiences gained from the game. The implementation of the project started on 1 September 2018 and will end on 30 April 2021. 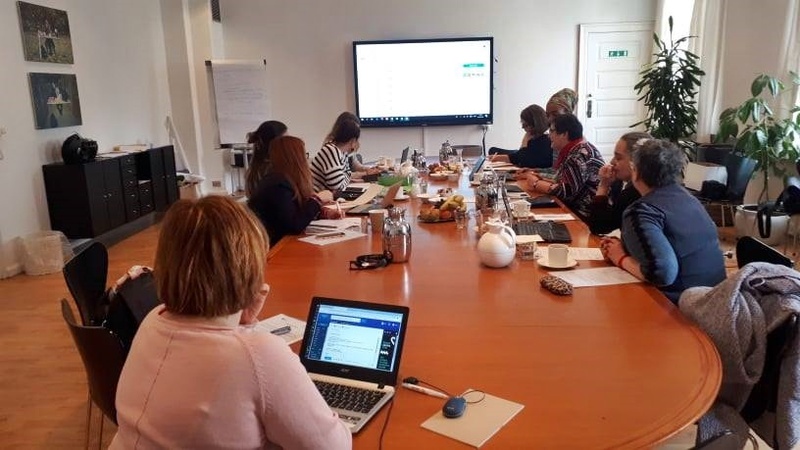 The consortium members first met on 2-4 December 2018 in Budapest, and they took their first steps together towards their joint aim: to create a useful tool for young adults to prevent and/or avoid abuse. As the very first step on this route, FSZK presented the “zero version” of the simulation game to the partners and organised a test for them. Then, they shared their first impressions and feedbacks on the game so the professional discussion has already been started. To be more attuned to the topic of abuse, the participants of the meeting watched a Hungarian film together (Hope you’ll die next time :)). After the film watching, also the director of the film joined to the project team and had an exciting conversation with them not only about the film, but also about the topic of abuse. All in all, the kick-off meeting has successfully reached its aim as each participants said goodbye at the end of the meeting sharing the same commitment, dedication and motivation on the project, also agreed and got familiar with their tasks and responsibilities. Now the next important step in the project is the organisation and implementation of the first test events. After the kick-off meeting, the consortium made the ‘first test version’ of the simulation game building in also the suggestions of the partners, that they can use during the first test events in Denmark, France, Portugal, Bulgaria and Romania with the inclusion of young adults and experts from their countries.